Potato Bush Camp is perfectly located in the heart of the 4,000 square kilometer Lower Zambezi National Park in southeastern Zambia. 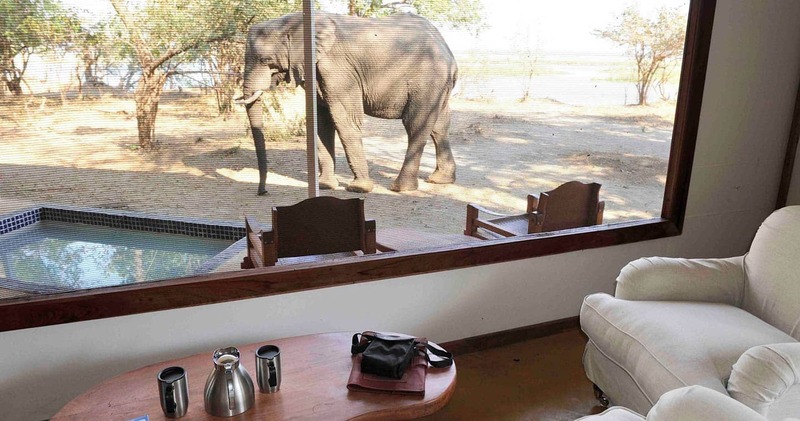 The camp is located on the banks of the 120-kilometer long Zambezi River and the World Heritage Site of Mana Pools (Zimbabwe) lies on the opposite shore. The Zambezi escarpment, the southern limit of the great East African Rift Valley, runs along the park’s northern end, acting as a physical barrier to many animal species and forming a magnificent backdrop. The escarpment slopes gently downwards straddling woodland and floodplain habitat before reaching the concentrations of game on the valley floor and the riverbank. So, are you ready to pack your bags? Wildlife sightings at this camp turn out to be very rewarding. Skilled guides like Charles and Ryan will take you on game drives, bush walks or canoe trips, and frequent leopard or lion sightings are not uncommon. After each trip, you can dip into the (very welcome) private plunge pool, swing softly in your hammock or just nestle yourself under a mahogany tree with a good book (the camp has a lovely selection). At this contemporary, yet traditional canvas camp you will find the perfect balance between relaxing and exhilarating experiences. Spacious? Yes. Private? Very. Comfortable? You bet. 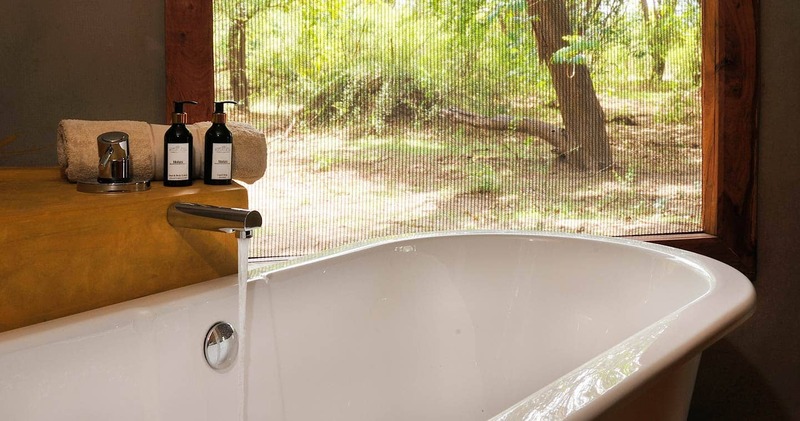 Potato Bush comprises of three well-appointed canvas and rosewood safari tents with large decks, private plunge pool (a lifesaver during those steamy days) and amazing indoor and outdoor showers with subtle pebble details in the floor. The fourth tent is a two en-suite bedroom family tent, with a large deck and its own plunge pool. All tents are spacious, airy and luxurious, but with the right amount of ‘bush feel’: exactly what you want when on a safari. Nestled under mahogany, sausage and acacia trees, you can enjoy panoramic views from your own deck or the main area. 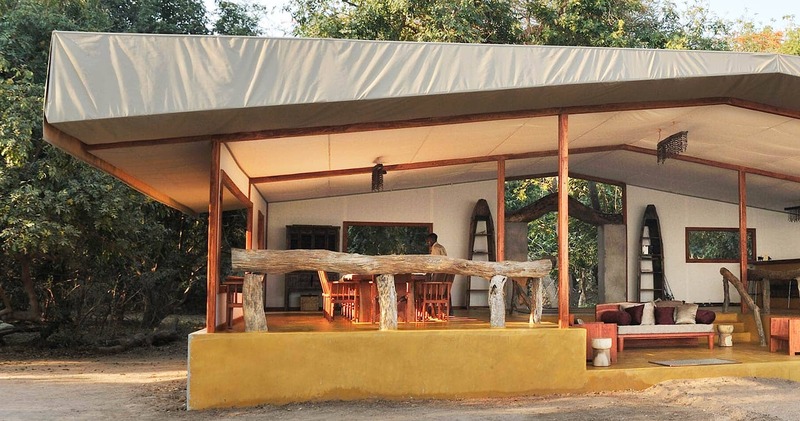 The open plan dining and lounge areas are accessed by way of raised timber boardwalks, which enables the camp to stay open from April through early January. There is something disinhibiting about the presence of water. In the Zambezi River, baby elephants enthusiastically splash themselves, hippos expose their pink bellies, birds dip their heads - and you? You might find yourself with bare feet in the fresh water, while your guide offers you an ice-cold Pimm’s with lemonade. As you stand refreshed, with trousers rolled up, sipping a cocktail and watching the sunset, you just might want to pinch yourself. At Potato Bush Camp, the staff goes out of their way to give you a diverse and complete Zambia experience. 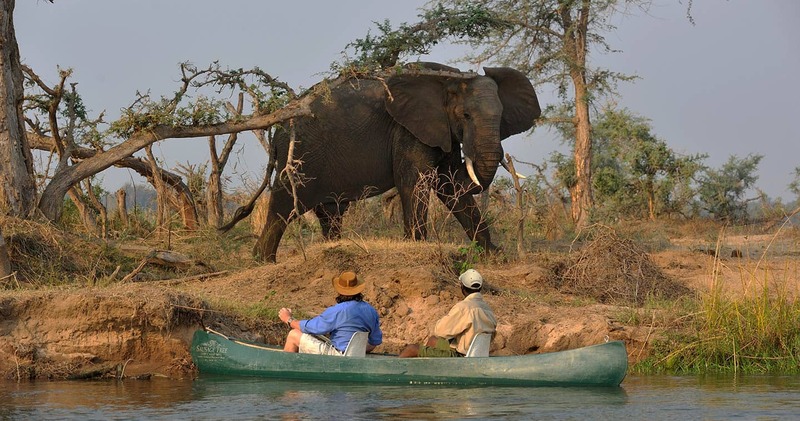 You can pick from a range of activities including guided game drives, boating and seasonal catch-and-release fishing. 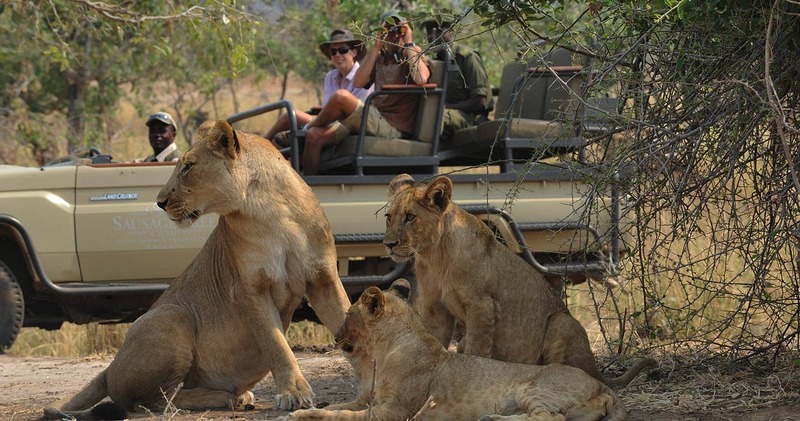 Game drives are still the best way to see a vast array of wildlife. The vehicles also allow ‘up close and personal’ experiences – but the professional guides will ensure that it is not too close and doesn’t disturb the animals. For a more tranquil trip, hop on a canoe and enjoy this area without the noise of a running engine. Whatever your day might bring, in the evening you will gather around the campfire under the stars, replay the sights and sounds and conspire about next year’s return. Wow, it is hard to believe you could find a location as beautiful as this camp! 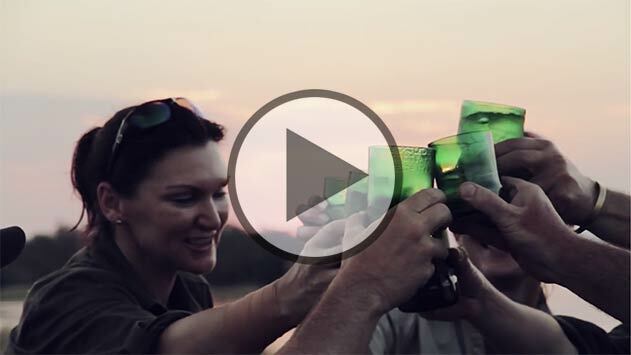 From simply having breakfast overlooking the Zambezi to the wild game drives and fantastic fishing, every minute was loaded with African Magic! The food was great and you always felt so comfortable and welcomed by the fantastic team at the camp; Thank you Amy for such a special time!!! We can't say enough about our stay at Potato Bush Camp. Charles, Faith, and all of the staff, especially, Brian, made our stay seem like a dream come true. 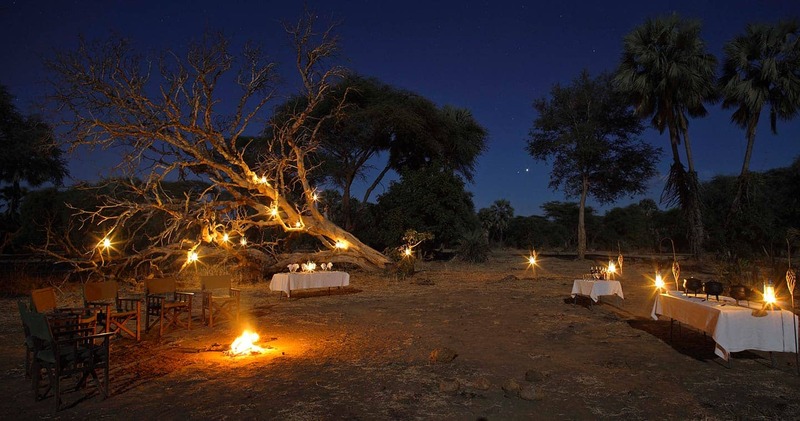 The wild life was abundant, the food yummy, and the tent more like a suite of luxury. We had a great visit and even got to fish for some of the famed tiger fish. For a small fish, it sure can fight getting reeled into the boat. This was an extraordinary place and we would recommend it to everyone, even families with older children. Two of the highlights of my entire trip happened at this camp! The canoeing on the Chifungulu Channel and a Zambezi Water lunch - both were outstanding and special experiences that I will never forget! The camp is small and intimate. I loved the spacious rooms that have a very clean and no fuss decor theme. 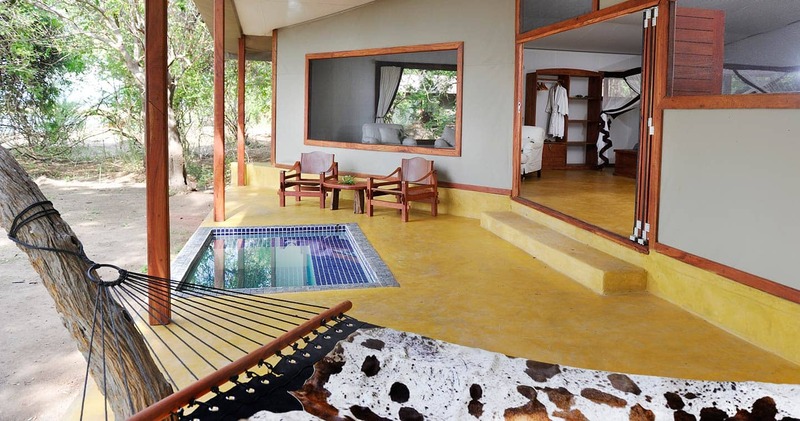 The rooms are huge and each have a large patios, with hammock and a small plunge pool for those super hot summer days. All the rooms have a view of the river. Our guide Ryan was very friendly and the activities were great. The canoeing was a truly incredible experience. The Chifungulu channel offered some great opportunities for photography. I found the whole experience thrilling. Potato Bush Camp is the smaller sister of the world renowned Sausage Tree Camp. Please note: No single supplement applicable. Read all about travelling to Potato Bush Camp on our getting to Lower Zambezi page. Potato Bush Camp is best accessed through Kenneth Kaunda International Airport (LUN) near Lusaka followed by a short light aircraft transfer to the Jeki Airstrip. Children 4 years and older welcome. We hope you have found all information needed to decide that Potato Bush Camp in Lower Zambezi National Park is the perfect place for your next travel adventure. Please fill in the contact form and we will get back to you soon!